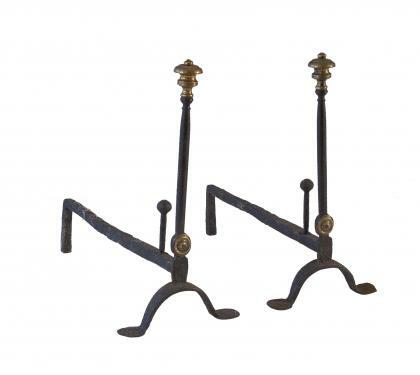 This pair of andirons has nicely turned brass finials, brass bosses at the base and penny feet. There is wear on the iron consistent with age and use. Dimensions: Width 9" | Height 14.75" | Depth 14"